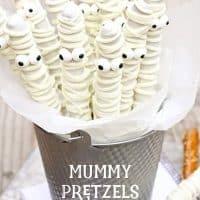 WHITE CHOCOLATE MUMMY PRETZELS — Pretzel rods are covered in drizzled white chocolate, then candy eyeballs are added to make these adorable Halloween treats! These White Chocolate Mummy Pretzels are easily the easiest, cutest Halloween treats I’ve ever made. And that’s really saying something. Because things like this are not my strong suit. So if I can do it, so can you! Not to mention, chocolate covered pretzels in general are pretty tasty, so they’ve got that going for them too. The biggest tip I have to offer you is this: put the melted white chocolate for drizzling in a squeeze bottle. Believe me, it makes the mummification of your pretzels so much easier! Besides being delicious, you just need 3 simple ingredients and 20 minutes or so to make these sweet and salty mummy treats. 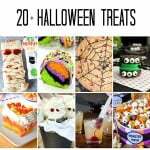 Which make them a perfect last-minute addition to any Halloween celebration. 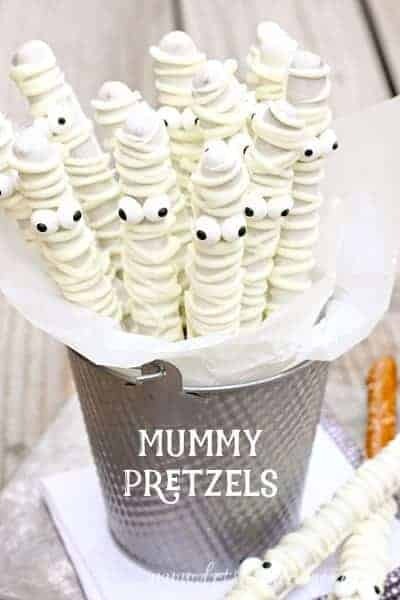 These adorable mummy pretzels are a fun for kids to make too! We’ll definitely be making a big batch for the school’s fall carnival, and I’m sure they’ll be sold out in no time! Seriously, Halloween treats just don’t get any cuter than this! Be sure to save this White Chocolate Mummy Pretzels recipe to your favorite Pinterest board for later. Melt chocolate according to package directions. Dip pretzel rods into white chocolate, covering about 2/3 of the pretzel. Gently tap pretzel rod on the side of the bowl to remove excess chocolate. Place two candy eyeballs on each pretzel rod (if they slip off, let the chocolate set for about a minute first). Place on waxed paper to set. Repeat with remaining pretzels. Carefully spoon remaining chocolate into a zip-top bag or squeeze bottle. If using a bag, snip of a small corner. Drizzle white chocolate over the pretzels, being careful not to cover the eyes, to resemble a mummy. Let white chocolate set completely before serving. What a cute idea. 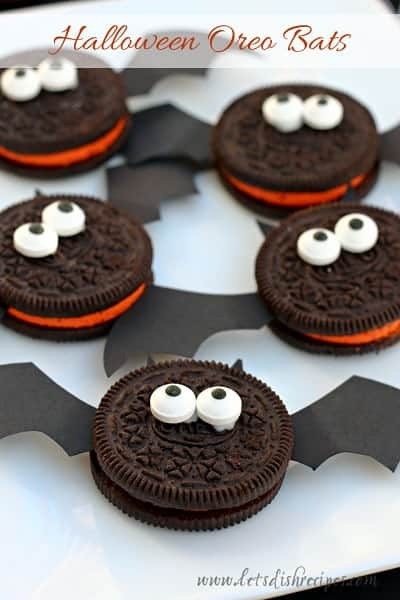 I’m going to make these for my daughter’s Halloween party at school. Thanks for sharing. Do you know how long it takes for it to set up? Thinking about doing this for a middle school class party! Would putting them in the freezer help? They set up pretty quickly if you use the dipping chocolate (as opposed to chocolate chips). I think they would be fine, but yes, putting them in the freezer, or even the fridge would help. Having a hard time finding candy eyeballs. Any suggestions? My grocery store usually has them in the cake decorating section. I’ve also seen tutorials online for making them. You could also just use mini M&M’s.